Exclusive offer: When you purchase your TM5 from 9 March 2019 ($2089) you’ll receive a bonus Cook-Key and a second Bowl, Blade and Lid set*. That’s a total bonus value of $584! through thousands of recipes on Cookidoo.com.au. Pick your favourites and create your own custom recipe playlists. From February to April 2019, you can unlock a special Cook-Key price by hosting a qualifying Cooking Experience. 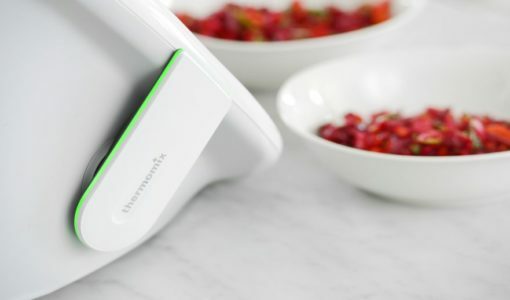 If a guest purchases a Thermomix at your Cooking Experience you can choose to receive a Cook-Key FREE! Or you can choose to purchase a Cook-Key for $94.50 – that’s half-price – just for hosting! Let Bianca be your guide as you set up your Cook-Key. Every Cook-Key comes with a bonus six-month trial subscription to Cookidoo.com.au. With a subscription, you gain access to over 2,100 Australian recipes and the global library of over 40,000 triple-tested Thermomix recipes, with new ones added all the time. At the end of your trial, annual subscriptions can be purchased for $49. Recipes at Cookidoo.com.au can be enjoyed by TM31 and TM5 owners alike. On Cookidoo.com.au, you can find your tried and tested family faves, or new foods to fit your life, and add them to your favourites or weekly meal plans. 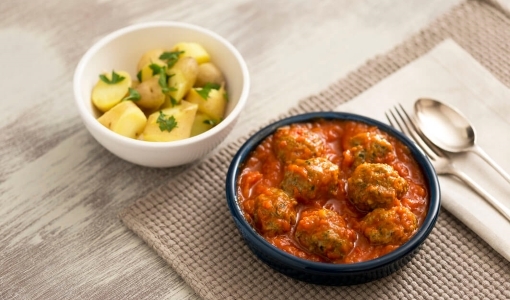 Plus, you can create personalised recipe playlists such as, amazing midweek meals in under 30 minutes, lunch picks for your health kick, or allergy-friendly desserts everyone can enjoy. Sign up for Cookidoo.com.au now. Let Bianca Mazur be your guide as you set up your Cook-Key. Cook-Key is an innovative accessory for your TM5 that makes it easy to access all your favourite Cookidoo.com.au recipes, meal plans and lists on your TM5 screen. Browse Cookidoo.com.au and create personalised recipe playlists or your weekly meal plan. Each Cook-Key comes with a bonus 6-month introductory trial subscription to Cookidoo.com.au, giving you access to over 2,100 Australian recipes and more than 40,000 recipes from 15 countries, with new recipes added all the time. Cook-Key is $189 (inc GST) and comes pre-loaded with all of the recipes from The Basic Cookbook, so you can start cooking right away. Each Cook-Key also comes with a bonus 6-month introductory trial subscription to Cookidoo.com.au, giving you access to over 2,100 Australian recipes and 40,000 recipes from 15 countries with new recipes added all the time. Please note that international recipes will appear on Cookidoo.com.au and your TM5 in their language of origin. A Cookidoo.com.au subscription is $49 per year and gives you access to all recipes and collections available globally on Cookidoo.com.au To purchase a subscription, click on "Browse" and then "Get Subscription". Do I need a Cookidoo.com.au account to use Cook-Key? Your Cook-Key comes equipped with recipes from The Basic Cookbook, so you can start cooking right away. Cookidoo.com.au is your library where you an organise, purchase and plan from your favourite Thermomix recipe collections and Recipe Chips. There are many more recipes waiting for you on Cookidoo.com.au which you can sync to your Cook-Key. Cook-Key comes with a bonus 6-month introductory trial subscription to Cookidoo.com.au, giving you access to over 2,100 Australian recipes and more than 40,000 recipes from over 15 countries with more added all the time. You'll have endless inspiration with new recipes added every month. A Cook-Key requires Wi-Fi to sync your recipe content from Cookidoo.com.au to the Cook-Key. Once the sync is complete, you don't require Wi-Fi to access the recipes on your Cook-Key. To update the recipe content stored on your Cook-Key, you will need to update your recipes in Cookidoo.com.au and then re-sync your Cook-Key using Wi-Fi. You need Wi-Fi to sync recipes to your Cook-Key. Once the sync is complete, your recipes are stored on your Cook-Key so you can access them anytime, anywhere without being connected to Wi-Fi. To add, remove and change the recipes on your Cook-Key you must first make the changes at Cookidoo.com.au and then re-sync via Wi-Fi. Each Cook-Key also comes with a bonus 6-month introductory trial subscription to Cookidoo.com.au which gives you access to over 2,100 Australian recipes and more than 40,000 recipes from 15 countries, with new ones added all the time. How do I activate my Cook-Key on Cookidoo.com.au? If you already have a Cookidoo.com.au account, simply go to "My Profile" then "My Cook-Key" to activate your Cook-Key. Alternatively, go to "My Recipe Library" then "Activate my Cook-Key". If you are creating your Cookidoo.com.au account, you can activate your Cook-Key while completing your profile. Yes, you can add several Cook-Keys to your Cookidoo.com.au account. Can I activate my Cook-Key in different Cookidoo.com.au accounts? A Cook-Key can only be activated once on one Cookidoo.com.au account. Any recipe on Cookidoo.com.au can be synced to your Cook-Key. Add recipes to your favourites, to your weekly planner or to your personalised recipe playlists on Cookidoo.com.au, then connect your Cook-Key to your TM5 and press the "Sync" button on screen. Once the sync is complete, all of your recipes will be available under "Recipes" on your TM5. Any recipe notes that you add to recipes on Cookidoo.com.au will appear when the recipe is synced to your Cook-Key. 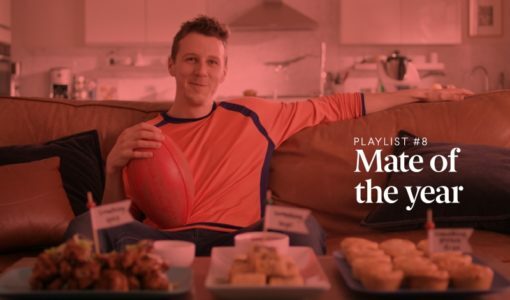 Delete your chosen recipes within Cookidoo.com.au (from favourites, the recipe playlist or weekly planner) and re-sync your Cook-Key on your TM5. The first time you attach your Cook-Key to your TM5 you will need to complete the firmware update to unlock the Wi-Fi settings on your TM5. Whenever a new software update is available, we send it via Wi-Fi through your Cook-Key to your TM5. We recommend you update your firmware whenever one is available to you. You can continue to use your Recipe Chips with your TM5. When you activate your Recipe Chips, these recipes automatically become a part of your Cookidoo.com.au Recipe Library. After you've registered on Cookidoo.com.au, you can activate Recipe Chips by clicking on "My Recipe Library" and "Activate my Recipe Chip". Enter the unique code found on the back of the Recipe Chip to activate. These recipes will then be added to your recipe library. Please note that each Recipe Chip can only be activated once. From your library, you can create personalised recipe playlists or your weekly meal planner which you can then sync to your Cook-Key. Once you've added your chosen recipes to your playlists or weekly meal planner, attach your Cook-Key to your TM5 and press the sync button. Once the sync is complete you can find your favourite recipes under "Recipes" in the menu of your TM5. By activating your Recipe Chips you are permanently adding these recipes to your recipe library. From your recipe library or favourites list you can then add them to your weekly meal planners or to personalised recipe playlists. Your Cook-Key can then sync recipes to your TM5 and you can follow the Guided Cooking steps on the screen. Cookidoo.com.au is an online recipe library where all your favourite Thermomix recipe collections and Recipe Chips can easily be transformed into personal recipe playlists, effortless meal plans and painless shopping lists. With Cookidoo.com.au you'll always find inspiration for your next meal. Each Cookidoo.com.au recipe has been developed and triple tested by our Recipe Development Team to ensure the perfect meal every time. Do I need to pay to use Cookidoo.com.au? For TM5 owners, when you activate your Recipe Chips you'll be able to access the recipes in your digital recipe library. From your library you can design delicious meal plans and create recipe playlists for every occasion. With an annual $49 Cookidoo.com.au subscription, you can gain access to more than 2,100 Australian recipes and more than 40,000 global recipes from 15 countries, with new ones added all the time. Subscriptions are available under the "Browse" menu option. Can I add my own recipes to Cookidoo.com.au? 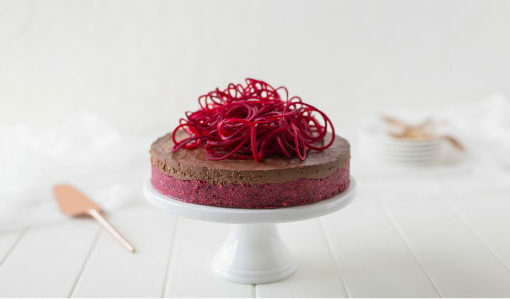 At Cookidoo.com.au it's easy to organise your Thermomix recipes and to create playlists of your favourites. All the recipes featured on Cookidoo.com.au have been developed by Thermomix recipe developers and triple tested to ensure the perfect meal every time. Please note that you can only add recipes you have already purchased, as a collection or Recipe Chip, to your playlists. If you have a Cookidoo.com.au subscription you can access every recipe available on Cookidoo.com.au - over 2,100 Australian recipes and more than 40,000 recipes from 15 countries, with new ones added all the time. A Cookidoo.com.au subscription is $49 per year. The Weekly Meal Planner is an easy-to-use tool where you can plan all of your meals for the week using your own recipe library. Create a shopping list with one click of the shopping list symbol at the base of the column for each day of your Weekly Meal Plan. Your Cookidoo login email will automatically appear in the "Send To" text box. If you would like to send the list to someone else you can easily change the text to their email address and add a note. Hover over the collection image that you want to add to your favourites. Click on the three dots that appear in the upper right hand corner and click on "Add to Favourites". To access the recipes, go to "My Recipe Library" and click on "My Favourites". Then click on "Collections" at the top right of the screen. All of the recipes in the collection that you have added to your favourites will now appear. Please note, you can only add collections that you already own to your favourites. If you have a Cookidoo.com.au subscription you can add any recipe from the global collection of over 2,100 Australian recipes and over 40,000 recipes from 15 countries, with more added all the time. If you have a Cookidoo.com.au subscription you can add any recipe from the global collection of over 2,100 Australian recipes and 40,000 recipes from 15 countries, with new ones added all the time. Yes. Cookidoo.com.au can be enjoyed by all Thermomix owners. From your recipe library you can design delicious meal plans and create recipe playlists for every occasion. With Cookidoo.com.au shopping for meals is easier than ever when you generate shopping lists at the click of a mouse for your Weekly Meal Plans. Your Cookidoo.com.au subscription gives you access to over 2,100 Australian recipes and more than 40,000 global recipes from 15 countries with new ones added all the time. How do I change the email address I used to register on Cookidoo.com.au? Please contact us on 1800 004 838 or email cookidoo@thermomix.com.au for assistance. My Cookidoo.com.au account is blocked, what should I do? Please contact us on 1800 004 838 or email cookidoo@thermomix.com.au. Can I create more than one Cookidoo.com.au profile? Currently, you can only create one profile per Cookidoo.com.au account. You can register on Cookidoo.com.au before you receive your Thermomix. During the registration process select "I don’t have a Thermomix at home yet". In the meantime, you can begin to enjoy everything that Cookidoo.com.au offers such as browsing recipe collections, meal planning and creating your own personalised recipe playlists. What are the benefits of a Cookidoo.com.au subscription? Cookidoo.com.au is a recipe library where all of your favourite Thermomix recipe collections and Recipe Chips are transformed into personal recipe playlists, effortless meal plans and painless shopping lists. A subscription to Cookidoo.com.au grants you access to every recipe and recipe collection globally on Cookidoo.com.au, so you'l always find inspiration for your next meal. That's over 2,100 Australian recipes and more than 40,000 recipes from 15 countries with new recipes added all the time. Please note that international recipes will appear on Cookidoo.com.au and your TM5 in their language of origin. How much is a Cookidoo.com.au subscription? A Cookidoo.com.au subscription is $49 per year. Each Cook-Key comes with a bonus 6-month introductory trial subscription to Cookidoo.com.au. A Cookidoo.com.au subscription gives you access to over 2,100 Australian recipes and more than 40,000 recipes from 15 countries with new ones added all the time. How do I activate my Cookidoo.com.au subscription? A Cookidoo.com.au subscription gives you access to over 2,100 Australian recipes and more than 40,000 recipes from 15 countries, with new ones added all the time. Thousands of recipes means endless inspiration, so you'll always have the perfect food to suit any occasion. At the end of your trial period you can choose to renew your subscription for the annual price of $49 per year. If you choose not to renew your subscription, your recipe library will revert back to any Thermomix recipe collections you have previously purchased and Recipe Chips you have activated. To continue to access the global library of recipes, you can choose to renew your subscription for the annual price of $49 per year. If you choose not to renew your subscription, your recipe library will revert back to any Thermomix recipe collections you have previously purchased and Recipe Chips you have activated. I don't want a Cookidoo.com.au subscription. Can I still use a Cook-Key? Yes, any recipes that are in your recipe library can be synced to your Cook-Key. Your recipe library consists of any Thermomix recipe collections that you have purchased or Recipe Chips that you have activated. I already have a Cookidoo.com.au account - do I need to buy a subscription to keep using it? No. You can keep using Cookidoo.com.au the same way without a subscription. Your recipe library consists of any Thermomix recipe collections that you have purchased or Recipe Chips that you have activated. 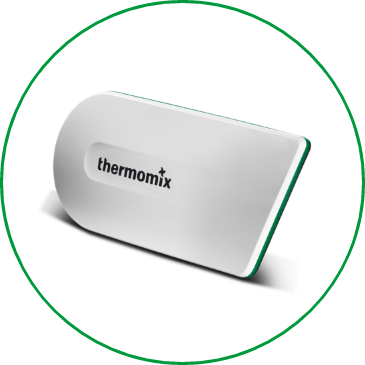 If you have a Cook-Key then you can access your Thermomix recipes on your TM5 touch screen for guided cooking. If you have a Cookidoo.com.au subscription you can access over 2,100 Australian recipes and the global library of 40,000 recipes from 15 countries, with new ones added every month. I already have a Cookidoo.com.au account - do I need to buy a Cook-Key to keep using it? No. You can keep using Cookidoo.com.au the same way without a Cook-Key. 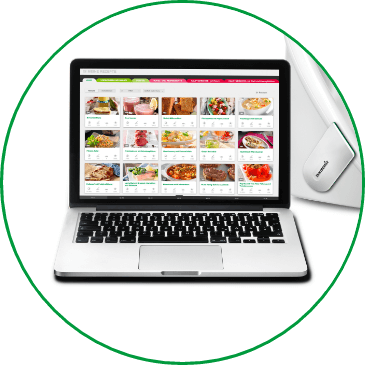 Your recipe library consists of any Thermomix recipe collections that you have purchased or Recipe Chips that you have activated. If you have a Cook-Key then you can access your Thermomix recipes on your TM5 touch screen for guided cooking. Please check that you've entered the Cook-Key ID number correctly. If you have entered your ID correctly and still receive an error message, please contact us on 1800 004 838 or email cookidoo@thermomix.com.au. A Cook-Key can only be activated on one Cookidoo account at any time. If you wish to deactivate your Cook-Key to reactivate it on another Cookidoo account, please contact us on 1800 004 838. Each Cook-Key also comes with a bonus 6-month introductory trial subscription to Cookidoo which gives you access to over 2,100 Australian recipes and 40,000 recipes from 15 countries. That means you'll always be able to find the right food for the occasion. If you already have a Cookidoo.com.au account, simply go to "My Profile" then "My Cook-Key" to activate your Cook-Key. Alternatively, go to "My Recipe Library" then "Activate my Cook-Key". If you are creating your Cookidoo.com.au account, you can activate your Cook-Key while completing your profile. If you have any connection issues, re-attempt the steps above. If you are still experiencing issues, please contact us on 1800 004 838 or email cookidoo@thermomix.com.au. Activating your Cook-Key will automatically activate your bonus 6-month trial subscription to Cookidoo.com.au. 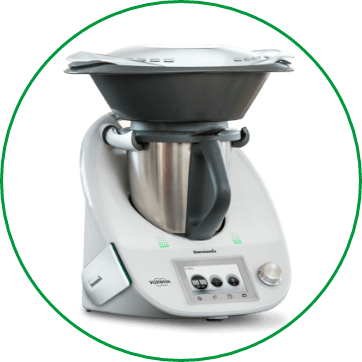 Turn on your Thermomix TM5 and tap the "Settings" button. I registered on Cookidoo but have not yet received a confirmation email. Please first check the spam folder in your emails. If the email isn't in your spam folder, and you still don't receive it after a couple of hours, please contact us on 1800 004 838 or email cookidoo@thermomix.com.au. You can currently can only create one profile per Cookidoo.com.au account. You can register on Cookidoo.com.au before you receive your Thermomix. If you are still experiencing difficulty, please contact us on 1800 004 838 or email cookidoo@thermomix.com.au. If the issue persists, please contact us at cookidoo@thermomix.com.au or 1800 004 838. If you do not have a Recipe Chip, please contact your Consultant or our Customer Service Team on 1800 004 838 or email cookidoo@thermomix.com.au. If the other device works, please contact us on cookidoo@thermomix.com.au or 1800 004 838. If you are still experiencing issues, please contact us on 1800 004 838 or cookidoo@thermomix.com.au. If the other device does connect, please contact us on 1800 004 838 or cookidoo@thermomix.com.au. If the problem persists, please contact us on 1800 004 838 or email cookidoo@thermomix.com.au. This error message is not related to Cook-Key. If you see the error message, please contact us on 1800 004 838 or email cookidoo@thermomix.com.au. Any recipe on Cookidoo.com.au can be synced to your Cook-Key.